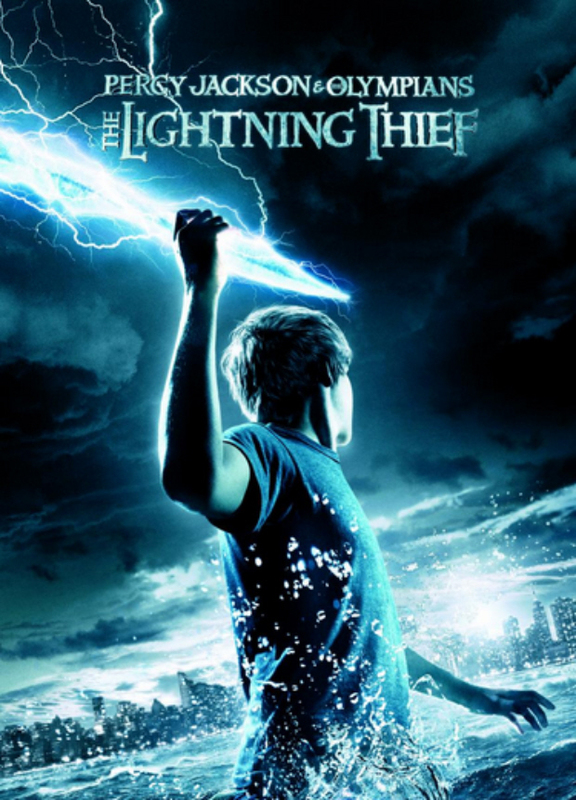 Joining the ranks of fantasy adventure movies like The Golden Compass, Harry Potter and The Chronicles of Narnia is the latest: Chris Columbus’s , Percy Jackson and the Olympians: The Lightning Thief. It’s based on the first of the series of 5 books written by author Rick Riordan. Unfortunately for Indian audiences the movie isn’t scheduled to release in India any time soon and since the Pundits have reluctantly agreed not to encourage piracy hence we wont be providing any torrent links for you here (but we also do believe that our readers are capable enough of searching popular torrent sites themselves!) What we CAN do for you is give you a lowdown on a couple of important characters and other stuff so that you don’t feel lost during the movie (as can happen in any book-adapted movie). Demi-god: A demi-god or a half-blood as they’re more commonly known, are children of the gods themselves. Yes, apparently gods too sometimes feel the urge to come down to Earth for some frolicking with mortal females. Our lead character Percy Jackson is a half-blood himself, his dad- The lord of the Seas, Poseidon. Half-bloods inherit powers of their parents so Percy can breathe underwater, can talk to horses (creations of his father) and can cause seas to rise by his will. Satyr: Satyrs are protectors of Half-bloods, they seek out potential half-bloods from human schools and lead them to their home at Camp Half-blood. Satyrs have an acute sense of smell and can recognize danger from quite a distance away. They look like normal humans but below the waist they have the body of a goat with hooves, fur etc. Gods: Immortal, Cool and Greek. The Gods and Goddesses from Greek Mythology are all real here. Apollo, the Haiku writing, Maserati driving, God of the Sun; Aphrodite, the beautiful, enchanting, Goddess of Love; Ares, the ever deceptive, Harley riding, God of War. Other gods include Dionysis (Mr.D as he’s known, and more commonly called ” The Wine dude”), Artemis, Hephaestus, Hermes etc. The all important gods, though, are collectively known as the Big Three. Zeus, the Lord of the Sky, Poseidon, the Lord of the Seas and Hades, the Lord of the Underworld. Olympus: Known as the Home of the Gods, it’s where the big three are most likely to be found and where the annual meeting of the gods takes place every summer solstice. Its location apparently changes as the power in the world shifts. Currently above the Empire State Building, although noone knows how! The Lightning Bolt: The object of intense interest in the first book is also the most powerful weapon ever created. Wielded by the King of the Gods, Zeus, it can cause unimaginable destruction if in the wrong hands. Kronos: The evil Titan lord who was blown to bits and cast into the depths of Tartarus by his own sons i.e the gods Zeus, Poseidon and Hades. Even though hardly alive, the deceitful Titan continues to act but through the actions of Half-bloods, guiding them through dreams so that one day he may rise again. Monsters: Every Half-blood’s nightmare, Monsters can smell the scent of Half-bloods and are driven to them by nature. These include Minotaurs, Furies, Nemean Lions etc. They can never be killed but instead turn to dust and reappear unharmed, years or sometimes decades later too. Anaklusmos (a.k.a Riptide): Percy Jackson’s ubercool sword which can kill Monsters but cannot harm mortal humans. Made of celestial bronze and disguised to look like an ordinary pen, it can magically return to Percy if he ever loses it. Medusa: Played by Uma Thurman, she’s the famed monster seductress whose look can turn anyone to stone. Punished by the Goddess Athena to have serpents instead of hair, she’s the basic definition of the word Evil. Sneak A Peek! A fun adventure movie with a few twists and quite a bit of comedy too. As if Uma Thurman as Medusa wasn’t enough, its also got Peirce Brosnan as the Centaur Chiron. The Pundits believe that this is one not to be missed.